In the spirit of celebrating Dr. Martin Luther King, Jr.’s legacy, we want to highlight the stories of nonprofit organizations that serve and advance the cause of equality and inclusion. Here are a few examples of nonprofits making a difference in youth programs, workforce development, fighting hate, and serving refugees and people with disabilities. Per Scholas was founded more than 20 years ago with a mission to open doors to transformative technology careers for individuals from often overlooked communities. They help create opportunity by closing the skills divide and improving equality. Their work helps prepare smart, dedicated people to work in key technical roles, always designing our courses in response to what employers tell us they need. They are building a more diverse technical workforce by creating on-ramps for women and people of color, groups staggeringly underrepresented in IT employment today. Ninety percent of their students are people of color, a third are women and a third are disconnected young adults. 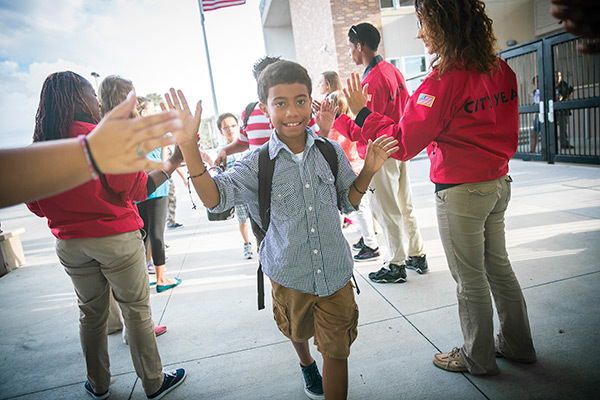 Now celebrating their 20th year, City Year is an education nonprofit dedicated to helping students and schools succeed. They partner with public schools in 28 communities across the U.S. and through international affiliates in the U.K. and Johannesburg, South Africa. City Year teams are made up of 18 to 24 year olds, who provide student, classroom, and whole school support to help students stay in school and on track to graduate high school. Their work helps increase graduation rates and change lives. The ADL was founded to fight anti-Semitism and hate. They fight hate through education, providing anti-hate training and content, reaching more than 1.5 million school children and 15,000 law enforcement officers every year. They also fight hate through research, and advocate on behalf of all groups who experience discrimination, removing obstacles to voting and securing fair treatment to all. ADL has been a leader in the fight against hate for over 100 years. The International Rescue Committee helps people whose lives and livelihoods are shattered by conflict and disaster to survive, recover, and gain control of their future. In 2014, the IRC and its partner organizations provided 16 million people with primary and reproductive health care, gave 3.3 million people access to clean drinking water and sanitation, vaccinated 364,000 children, helped 331,000 women deliver babies, cared for 11,000 sexual violence victims, mobilized 1.2 million people to lead prevention efforts in their communities, helped resettle 10,900 newly arrived refugees in the US, and assisted 36,000 refugees, asylees and victims of human trafficking. 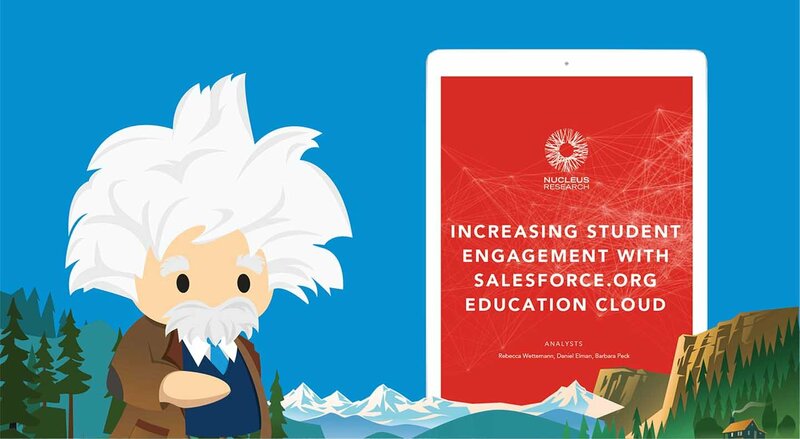 City Year runs on Salesforce, tracking student data for progress reports and benchmarking to maintain a clear, real-time view of how students are doing – and implement targeted learning paths during tutoring sessions. The Anti-Defamation League uses Salesforce to track incidents of hate across the country, online, and respond in real time; see details in their presentation at the Salesforce.org keynote at Dreamforce (at 35:28). Easterseals Bay Area uses Salesforce Health Cloud to track appointments, manage conversations between families and care teams, and measure progress toward health goals. The International Rescue Committee uses Salesforce to mobilize and engage their 3,500 volunteers, including creating a dedicated page for each volunteer to track their own impact; watch their video. We believe that businesses—and the people who run them—have the power to create real social change. We know that we are stronger and more effective as One Ohana, made up of our employees, partners, stakeholders, and tech industry. 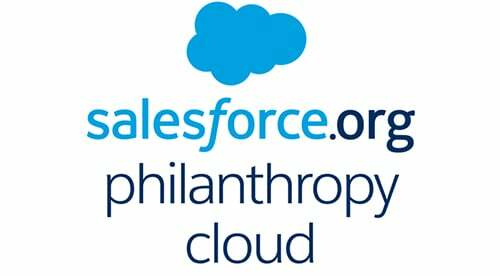 Over 32,000 nonprofits use Salesforce to help advance their missions. We have also provide over $168M in grants and 2.3M volunteer hours in service to organizations in the communities where we live and work. We encourage all to join us in honoring Martin Luther King’s legacy by spending the day giving back. At Salesforce, we’ve called on our employees to use their VTO (volunteer time off) hours to continue Dr. King’s legacy. There are volunteer opportunities across the country, so wherever you are, you can spend the day making a difference in your community. Find activities at nationalservice.gov/mlkday.